Postponed!! – Fall Food Truck Fest, October 27 – Postponed!! It’s KidStuff coupon book time! 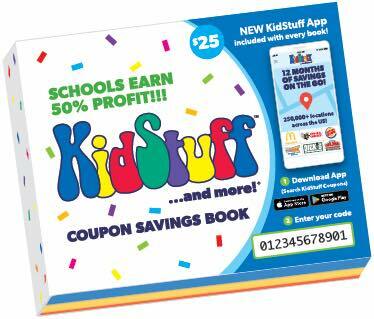 It’s KidStuff coupon book time! Books cost $25, and 50% of the profit goes directly to EEHSP. Books include valuable coupons to retail stores, restaurants, museums and more. New this year: a 12-month membership to the KidStuff app for even more savings! ENFIELD: This week students will come home with the book, an order form for additional books (if desired), and a payment envelope. To purchase the book, simply keep it and return payment via backpack mail. If you don’t want to purchase it, please return the book to school. ERDENHEIM: Next week students will come home with an order form, and we will work on filling orders as they come in. Order forms, payments, and book returns are due by OCTOBER 12.